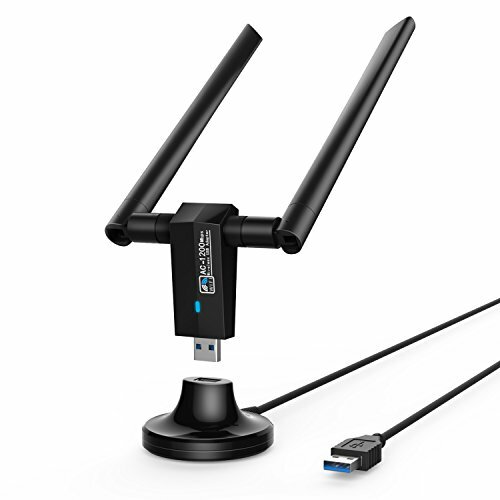 M-1200M Wireless AC1200 Dual Band Adapter based on IEEE 802.11ac technology delivers next generation WiFi speeds. With dual band connection, the device effectively avoids interference, ensuring top WiFi speed and reliable connections. The M-1200M is perfect for upgrading your existing laptop and desktop to a Gigabit WiFi Network. Standards Include WEP 64-Bit, WEP 128-Bit, WPA/ WPA2, WPA2-PSK.High Gain Long-Range 5dBi Antenna can help you connect even when signals are weak.The AC1200 series is supported by all WLAN routers. One Year Warrany of uncontitional Refund or Replacement,if you have any question,please contact us, we will respond you as soon as possible. If you have any questions about this product by Nuoshawan, contact us by completing and submitting the form below. If you are looking for a specif part number, please include it with your message.